The debate over health-care reform is now entering a new phase. This week, the Senate Finance Committee voted for Sen. Max Baucus's health-care bill, which sets up a possible Senate vote on the legislation later this month. Aggressive negotiations are underway on how to handle abortion funding. 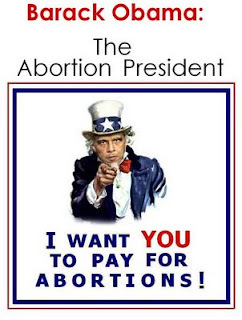 Democratic leaders claim that all they want is to maintain the "status quo" on abortion. In reality, maintaining what we have now isn't even on the table. To do that, a health-care bill would have to explicitly prevent federal dollars from being used for elective abortions. Provisions that would have done that were killed by all five committees that have handled health-care reform bills this year. Instead, the abortion compromise in the works is a provision modeled on an amendment Rep. Lois Capps (D., Calif.) added to the House bill. Read the entire op-ed here.